Textured and dry in style revealing fresh pear, Jasmine and orange blossom aromas. This wine has white peach and mandarin peel flavours, mingled with an elegant salinity and chalkiness. After an incredibly challenging harvest with two tropical cyclones in two weeks, our Pinot Gris reached full maturity in near perfect condition. It was surprisingly our cleanest fruit out of the entire vintage. Sourced from our Brookby Hill vineyard in the Southern Valleys, the fruit was handpicked and gently pressed to retain freshness, fruit purity and varietal character. The wine was kept on fine lees for 4 months to add granular mouthfeel and complexity to the palate. Lovely fine aromatics, revealing fresh pear, Jasmine and orange blossom notes. 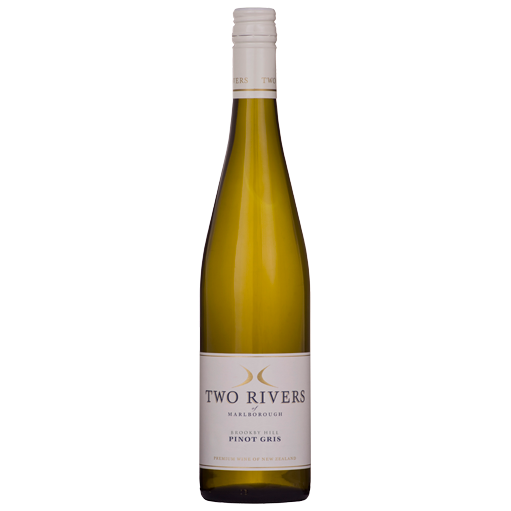 Textured and dry in style, this wine has white peach and mandarin peel flavours, mingled with an elegant salinity and chalkiness. This Pinot Gris is well balanced, softly textured, and has great mouthfeel and persistence of flavour. Textured and dry, white peach and mandarin peel flavours, mingled with an elegant salinity and chalkiness. Lovely fine aromatics, revealing fresh pear, Jasmine and orange blossom notes.